Potty training a toddler can be a harrowing experience. There's so much advice floating around, books to be read and products to buy that it's easy to get lost trying to figure out where to start. From a sticker system to old-fashioned bribery, there are plenty of methods to help kids conquer this major milestone — and tired parents will try just about anything. To help, we've curated a list of eight products to ease the transition, make your life a little easier and most important, get that potty training job done. 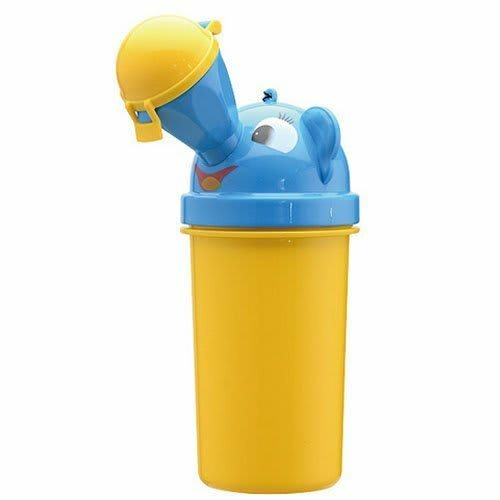 This portable potty and travel urinal is the perfect solution for potty training on the go. Discreet and easy to carry, this potty can be used anytime, promises no leaking and protects against unwanted odors. Perfect for traveling in airports, planes and cars, it lets you continue your potty training anywhere while keeping your kid safe from those public restroom germs. Potty training tinkle targets are an ingenious way to help potty train boys. Made by Mom Invented, they make potty training a cleaner, more enjoyable experience for both parents and kids. 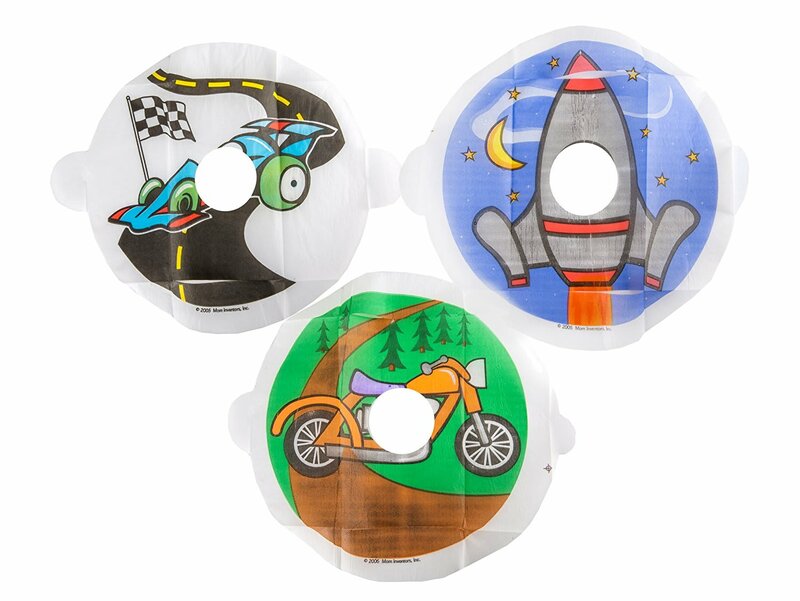 Tinkle targets are small papers in fun shapes and designs that you simply throw in the toilet bowl to give them a place to aim. These encourage children to stand at the potty and carefully aim, making training fun, easy and efficient. The Potty Time Potty Watch reminds kids when it's time to go to the bathroom. 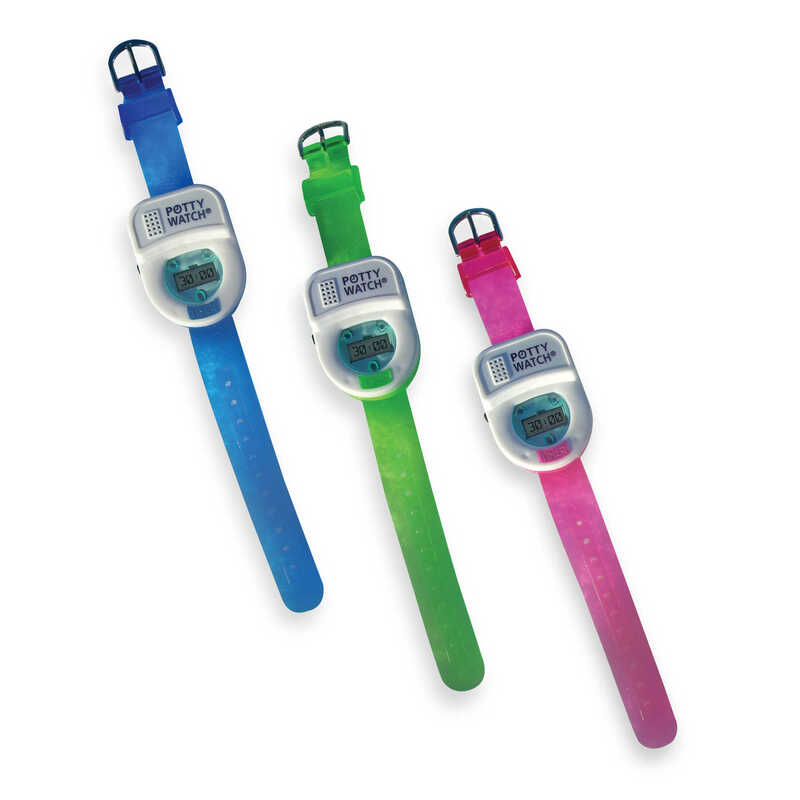 Easy to use for parents and fun for kids, the watch provides a gentle and fun reminder to try out the potty — using music and fun blinking lights. BE Basic’s flat twin training pad cover lays securely on your child’s mattress and/or bed to provide peace of mind during potty training season. 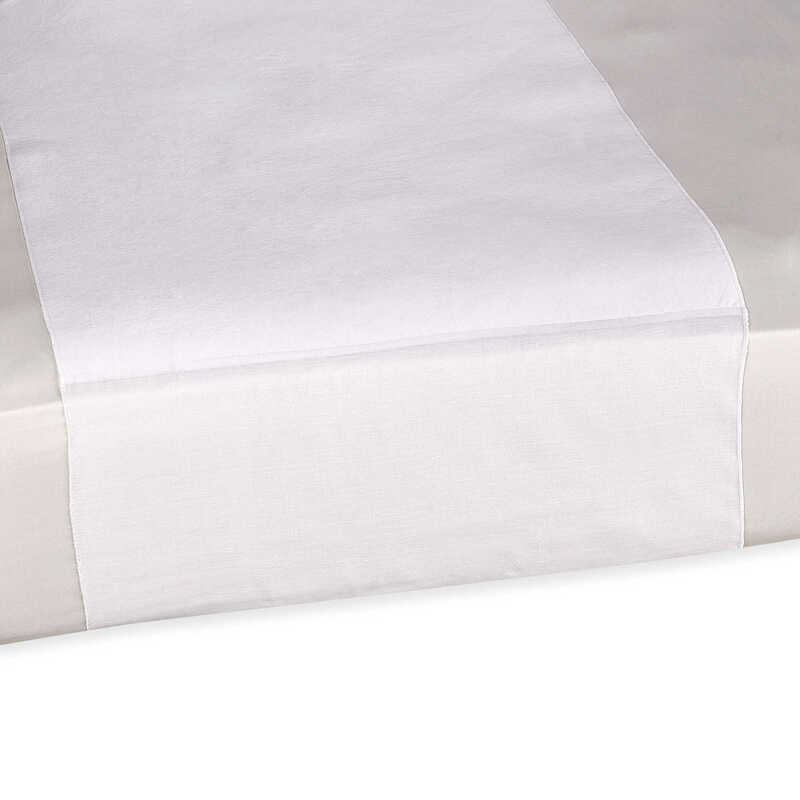 Made of a cotton-polyester blend, the cover is easy to wash, reusable and will protect your kid’s sheets from any accidents. Everyone has a potty training preference — and while trial and error might work, there are specific potty training guides available that help busy parents get the job done fast. 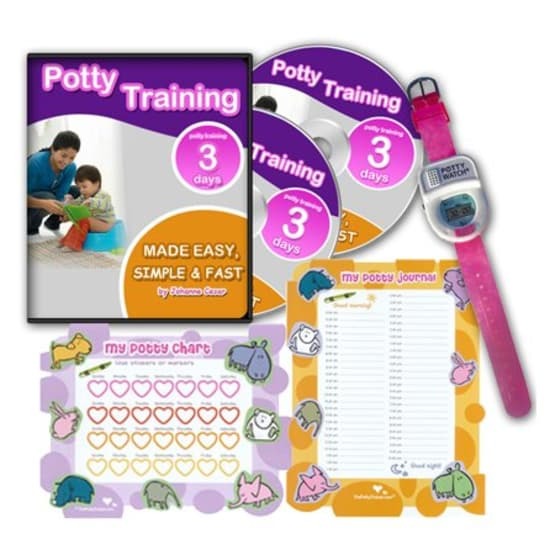 The Potty Training in 3 Days training kit comes with an audio CD guide, laminated charts and potty-time watch all in one. The CDs will give you important background information and instructions on potty training, the watch trains your kid to go on their own and the charts come with reinforcement stickers that get your kid involved — and make the whole experience fun. When the training is complete, you can present a training certificate as a reward for achieving a huge success. 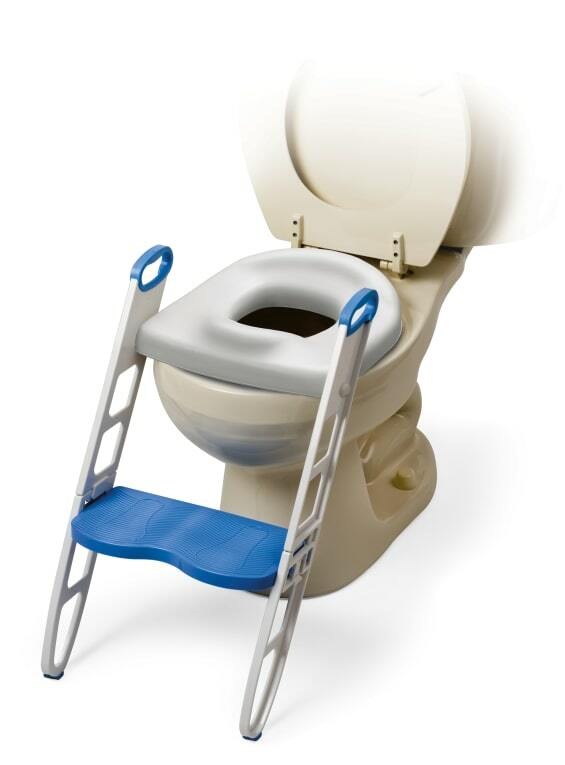 The padded potty seat with step stool by Mommy’s Helper helps make potty training an easier experience by making the adult toilet less intimidating. This heavily padded potty seat fits standard and most elongated toilet seats and assembles and attaches with no tools necessary. Also included are specially molded, nonslip handles for comfort and safety — and it folds up for compact storage between uses. The My Size Potty by Summer Infant is a top-rated potty training toilet with the look and feel of an adult toilet. 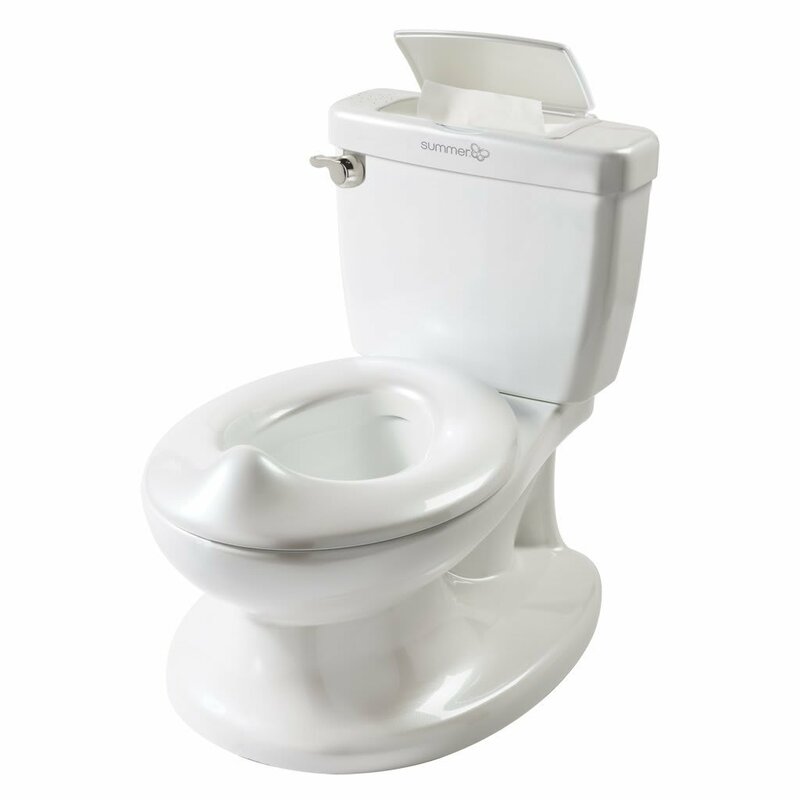 Featuring a handle that makes a realistic flush sound to reward a job well done and a flip-up lid and removable easy-clean bowl, this toilet will help ensure a comfortable and confident transition to the real thing. 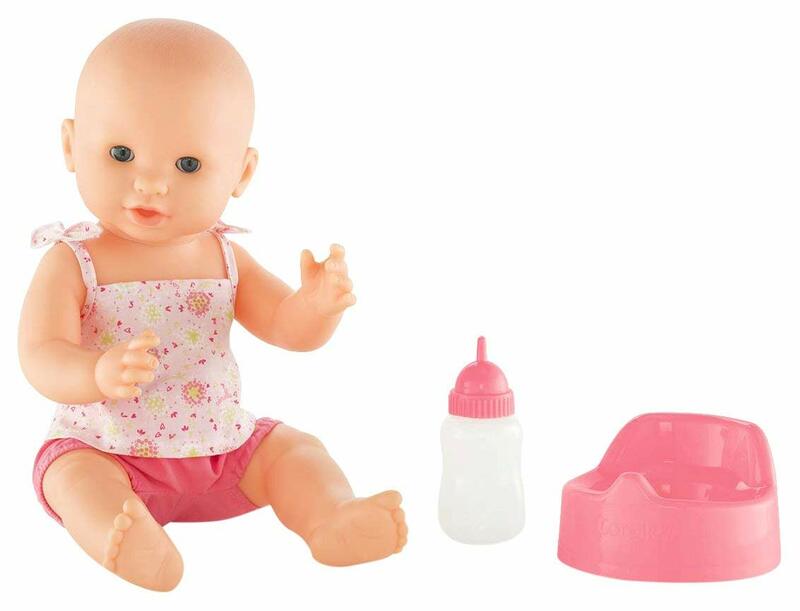 The Emma Drink & Wet baby doll is an all-vinyl doll that drinks, pees and loves to take a bath. Considered an excellent potty training aid, she comes complete with her own pink potty, pacifier and feeding bottle. Once Emma is fed from her bottle, she will then pee in the potty realistically.